and time necessary to present a body of their work and to engage and connect with their audience. Cleveland based poet, Andrew Field. 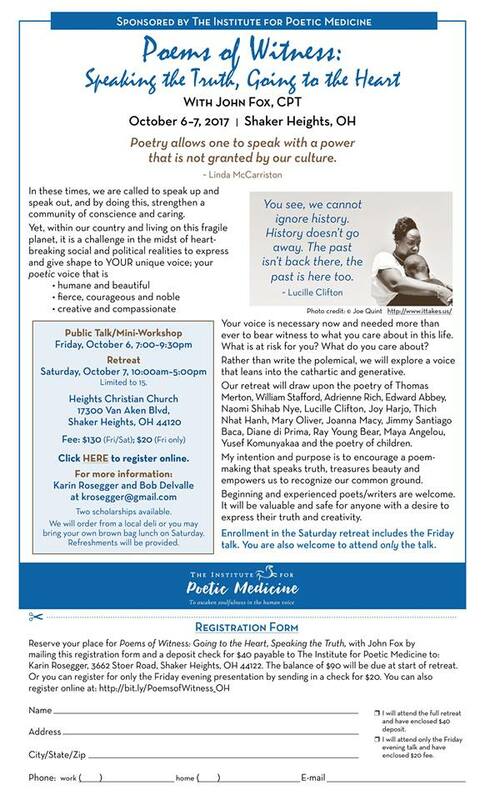 POETRY + is free and open to the public. Doors open at 7:00pm. Readings begin at 7:30pm. or via email at poetrypluscleveland@gmail.com. rotating exhibitions of local and regional artists. Jennifer Marer gives us a quick guide to LITERARY TOURISM: CLEVELAND, OHIO, stopping at some of the high points of Cleveland: Horizontal Books in Ohio City, Mac's Backs in Coventry, Appletree book at Cedar Fairmont, and the Writer's Center Stage at Maltz Performing Arts Center. Visible Voice, the classic bookstore in Tremont, is back! 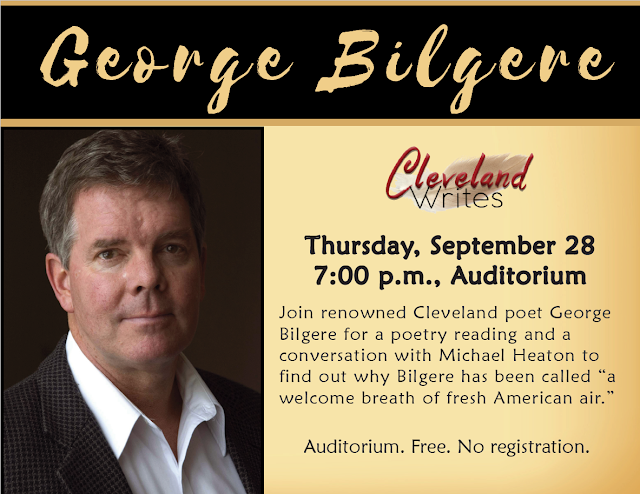 Visible Voice had been a staple of the poetry scene in Cleveland until it closed three years ago. Now it's reopening. 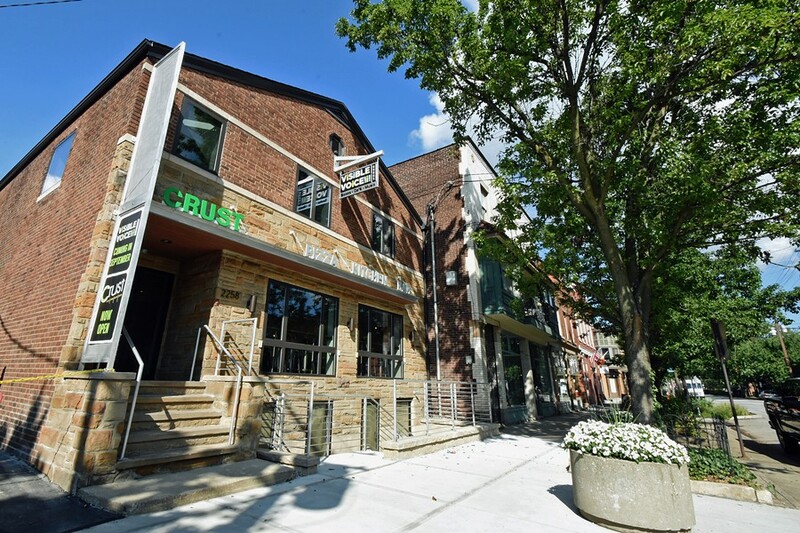 According to Scene, Visible Voice Books will officially be open on September 27, in a new location above Crust Pizza Kitchen in Tremont, with even more space and with parking. For those who like sweets with their words, it says they will feature locally-made pastries from Sweet Tooth Confections, specialty teas and brew-in-house coffee from Gimme! Coffee. "A bookstore with that lost independent feel — a relaxed, inviting environment conducive to discovery, where quality takes precedence over quantity, where the books marginalized by commercial concerns have a home. If you come in looking for something specific, we will have it or we will find it for you. If you come in looking for nothing in particular, you can lose yourself in a world of new ideas." 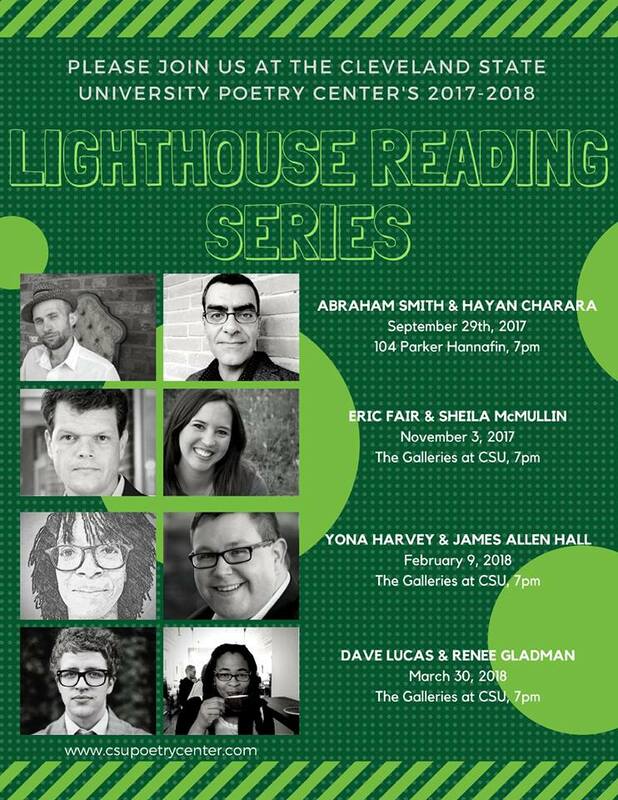 Please join the Cleveland State University Poetry Center for the Lighthouse Reading Series's first event of the year! This reading will take place in Parker Hannafin 104 (on CSU's campus, across from the Student Center) on 9/29 at 7pm.